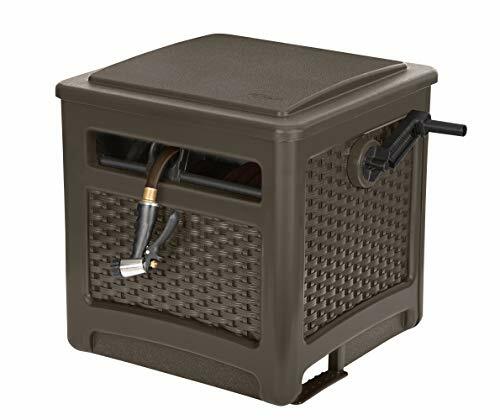 The Suncast® 225 ft. Smart Trak® Hose Hideaway® holds up to 225 feet of 5/8 in. standard vinyl hose. The Smart Trak® hose guide ensures your hose will wind evenly around the hose reel. 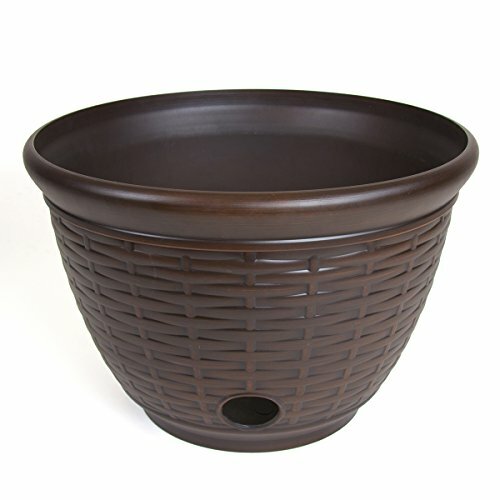 The wicker design complements any yard, while the durable resin construction is built to last. The Sun cast 100'. 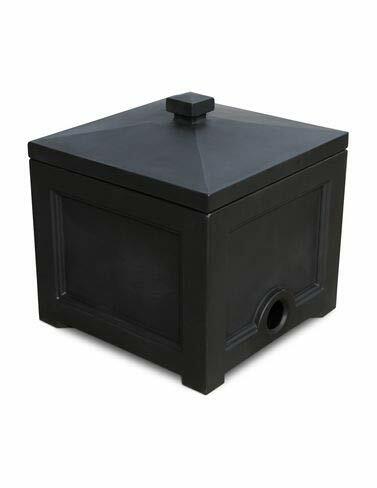 Slide track hose hideaway is made of sturdy resin construction & when wound properly holds up to 100'. Of 5/8 in. Standard vinyl hose capacity. 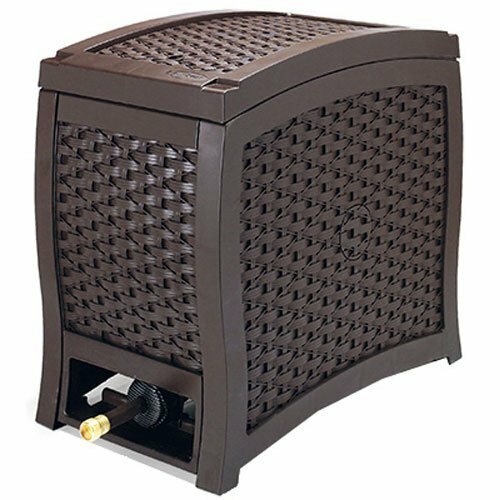 It's attractive design Fully conceals hose & reel & comes fully assembled ready for use in your backyard or outdoor setting. Leader hose Comes included. 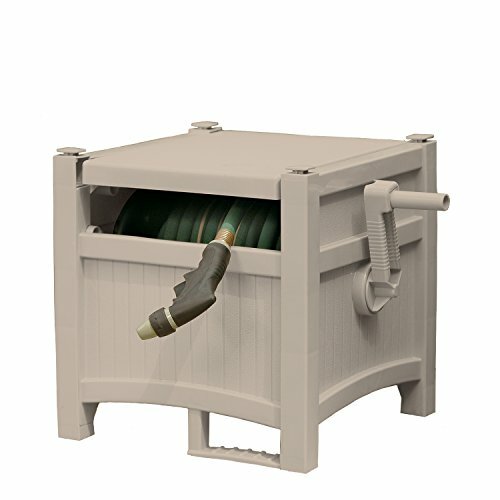 Its easy Link system ensures watertight connection between hose reel & hoses. Its light Taupe coloring blends in & complements any outdoor furnishings. 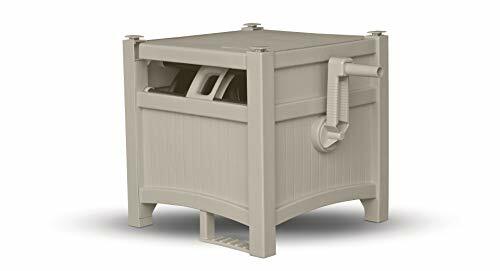 Fully assembled Dimensions are 20 1/2" W x 15 1/2" D x 16 1/4" H.
The Standard / Expanding Hose Holder is the perfect way to store and hang your standard garden hose or Expanding Hose. Simply hang the Holder Support on your garden tap or wherever you prefer to keep your Expanding Hose or garden hose. 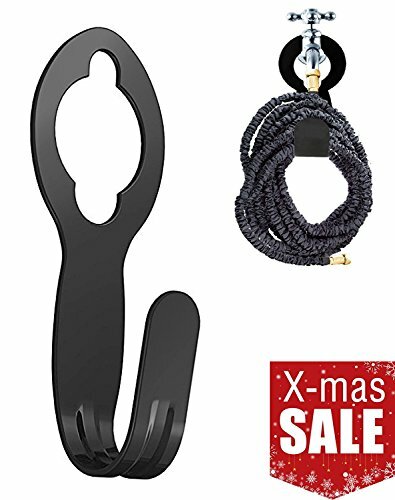 There's no need to struggle with winding your hose round the tap or trailing it on the floor - simply attach the Expanding Hose Holder to your wall or post in your garage, shed or utility area.. Material : Metal Weight: 0.57lbs Size: 8.5 inch *4 inch*3 inch Notice: This Hanger only work well for Expandable Garden Hose. 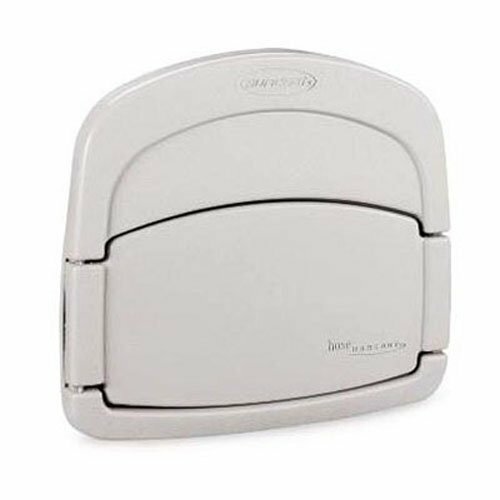 Package contains: 1 X Expandable Garden Hose Holder ,prevents hose from tangling and twisting. 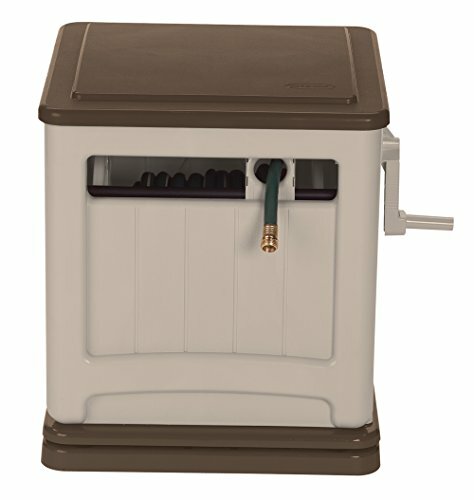 Compare prices on Hose Storage at LiveSaler.com – use promo codes and coupons for best offers and deals. We work hard to get you amazing deals and collect all avail hot offers online and represent it in one place for the customers. Now our visitors can leverage benefits of big brands and heavy discounts available for that day and for famous brands. We try to makes comparison shopping easy with Product Reviews, Merchant Ratings, Deal Alerts & Coupons. Find Deals, Compare Prices, Read Reviews & Save Money.